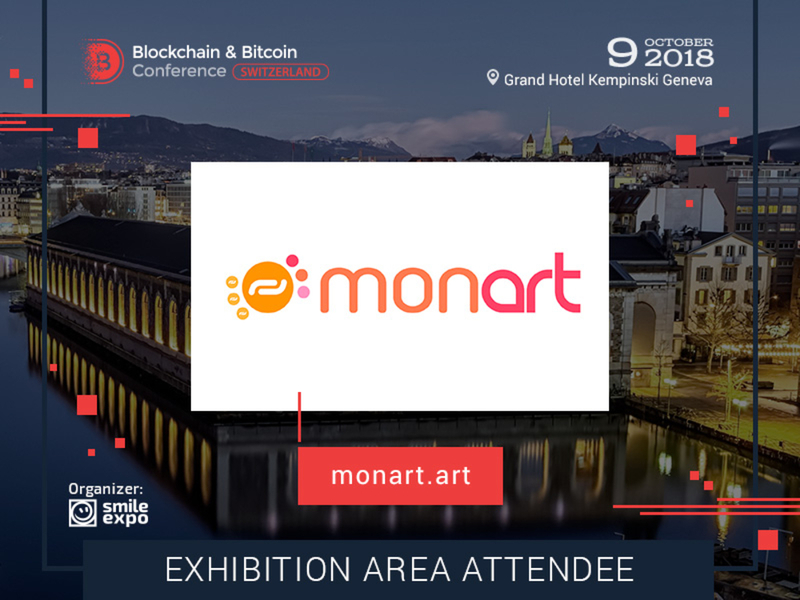 Amazing start for monart, the new star of the world of Art and Blockchain. ● received the 2018 ICO Awards at the 1st Blockchain Day, held on October 10 at the Palais Brongniart in Paris, attended by 600 participants and 40 international Blockchain experts. ● been selected to participate in the Start­up Village of the Blockchain World Summit, called “Blockchain Island”, to be held on November 1 st and 2 nd at the Intercontinental. This event will bring together 4’000 experts, 1’000 investors, 100 speakers and 300 sponsors and exhibitors.
" This is a fantastic encouragement for monart which will launch an ICO at the beginning of 2019 ," says Malo Girod de l'Ain, monart’s president. Monart, which is both a community around contemporary art and a market place, wants to revolutionize the contemporary art market, and become the 21 st century Christies. ● support and assist artists in their development with the "monart Art Accelerator Initiative".
" For the majority of artists it is really difficult to be recognized in their country hence even more internationally. monart wants to give them exposure by organizing events around the world, help them to follow up on their sales and make sure their resale rights are respected on the resale of their works, and with their contacts with the collectors ... " concludes Pauline Houl, CEO of monart based in Beijing.